Smithdown Road Festival is set to be the biggest yet for 2018 and Getintothis’ Jamie Bowman chats to organiser Andy Scott about the strains of putting on a festival and supporting the homeless. “Book them and they will come,” said Jim Morrison’s ghost to Wayne Campbell as he pondered how exactly to organise Waynestock. But as both the plot of Wayne’s World 2 and the team behind last year’s disastrous Hope and Glory event proved, putting together a festival is not that easy. 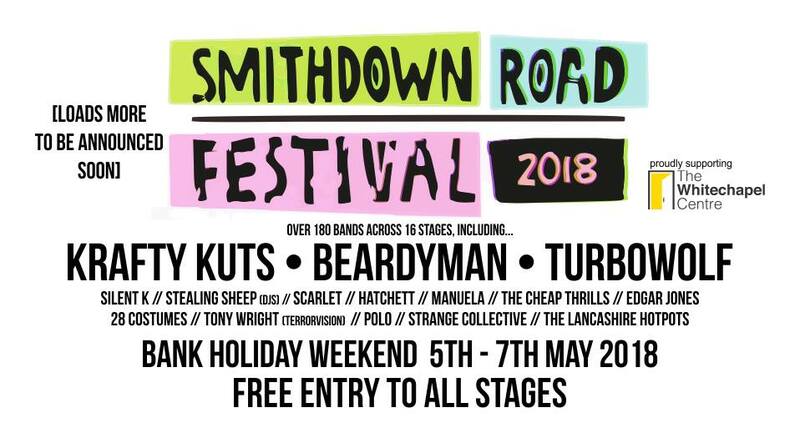 “This year we’re meeting up with people from licensing and police and they have to sign everything off,” says Andy Scott, one of the organisers behind May’s Smithdown Road Festival. The free festival which brings live music, comedy, theatre and family fun to Wavertree’s Smithdown Road recently revealed the first wave of acts and activities happening this year with a full programme of events taking place from May 3 to 7 although the live music will run from May 5 to 7. 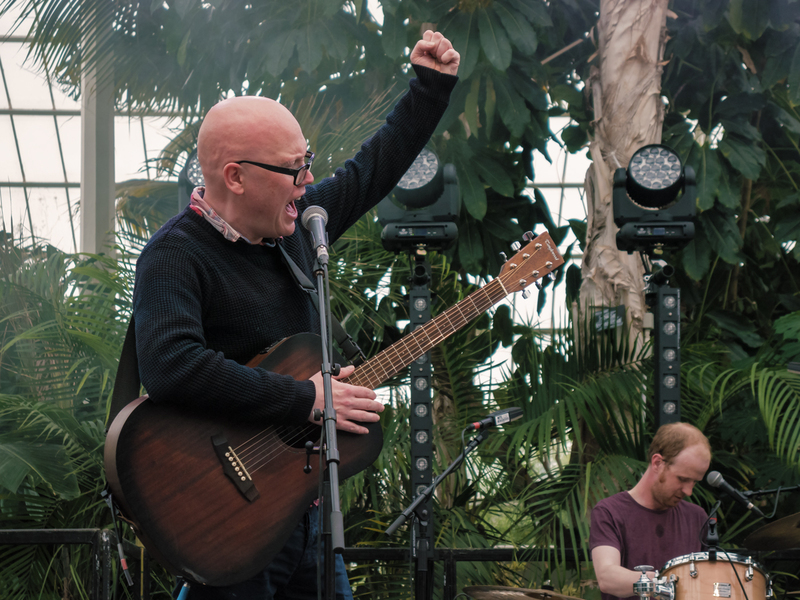 This year over 180 musicians will be playing on a massive outdoor stage at Wavertree’s Mystery Park alongside 15 other stages dotted around Smithdown Road in a clear escalation of the scope and ambition of the event. “We started off with five venues but it’s just got too busy,” laughs Andy who combines his festival work with running Smithdown’s popular Craft Taprooms. “Originally myself and Kev (McArthur – Andy’s co-orgainser) thought we’d just put on an event for shits and giggles and see how it went and a lot of people decided to come. “It just grew and grew really rapidly and now this year we’ve got the Mystery Park which is terrifying but exciting too. The first wave of artists announced include Beardyman and Krafty Kuts who join Merseyside’s favourites like Strange Collective, Edgar Jones, Stealing Sheep, The Cheap Thrills, Fernweh, Katie Mac, TVME, Killa in what Andy orignally devised as a showcase for one of Liverpool’s best known thoroughfares. “The initial inspiration was to try and show off the area as cool and up and coming,” he says. “We wanted to get people down here for a weekend and show them a boss time and that it was the kind of place you could go to again and again and not just when bands were on. “It’s really made a difference and we’ve seen people coming here now when in the past they might have gone to Lark Lane or into the city centre. Despite the festival’s bigger ambitions entry remains completely free with Andy reiterating Smithdown’s commitment to raise money for the Whitechapel Homeless Centre all weekend. The pair are also organising something called The Big Clean, rounding up 100 ‘volunteers’ to clean up the whole Smithdown area before, during and after the event. “It’s a community festival first and foremast,” insists Andy. “Wavertree is one of the most densely populated parts of the city and with the exception of a few people it’s not the wealthiest part. “It’s a good line up but we don’t want to charge 20 quid – the money is made through sponsorship and donations and we’ll be setting up a crowdfunding page and if any profit is made it will go to the Whitechapel Centre. Between now and May Andy will keep up the meetings, make the announcements and frantically look for funding all while looking after his bar and a one-year-old baby. Tweeting “no festival today” is not an option. “I’ll get some sleep some time around the end of May,” he laughs. More information can be found online, 2018 Smithdown Road Festival.